WWP continues to partner with like-minded veterans service organizations to connect, serve, and empower Wounded Warriors. SAN ANTONIO (Feb. 10, 2017) – For years, Wounded Warrior Project® (WWP) has partnered with organizations that share its mission to honor and empower Wounded Warriors. 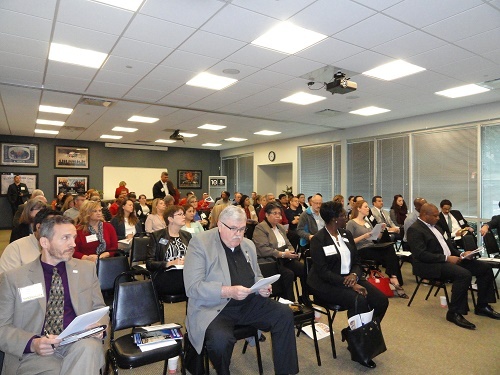 Recently, WWP hosted a strategy session for over 80 veterans service organizations (VSOs) to network and discuss best practices for serving wounded veterans in Texas and nationwide. WWP is committed to putting injured veterans’ needs first and building stronger relationships with other VSOs, which will dramatically improve services for wounded warriors and their families. Event attendees included Team Red, White & Blue; United Way; The Walmart Foundation; Alamo Community Group; Texas Veterans Commission; USAA®; Institute for Veterans and Military Families (IVMF); and many others. IVMF, higher education’s first interdisciplinary academic institute, is singularly focused on advancing the lives of the nation’s military veterans and their families. 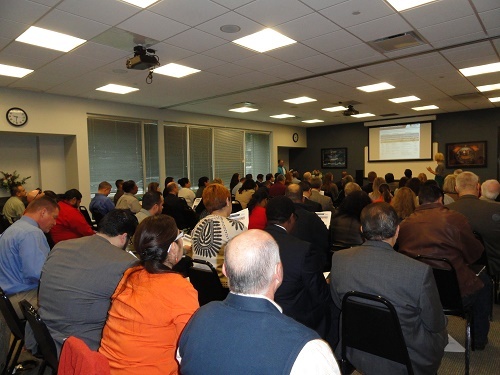 The conference focused on how different VSOs, both nation and local, can use technology to empower their teams to better support each other and the veterans they serve. The main objective was trust and confidence – an important theme for the future of how VSOs operate in communities, according to McDonough. WWP’s collaboration with other VSOs allows these exceptional organizations to operate in underserved areas, fulfill needs outside the scope of WWP’s direct programs and services, and enhance existing WWP programs with additional support.